Shopping for DC Comics Playsets? Find your own inner Super Hero with this play set inspired by the action in the animated shorts at DC Super Hero High. Wearing a ready-for-action fashion, a favorite DC Super Hero teen is ready to practice her skills with high action features. 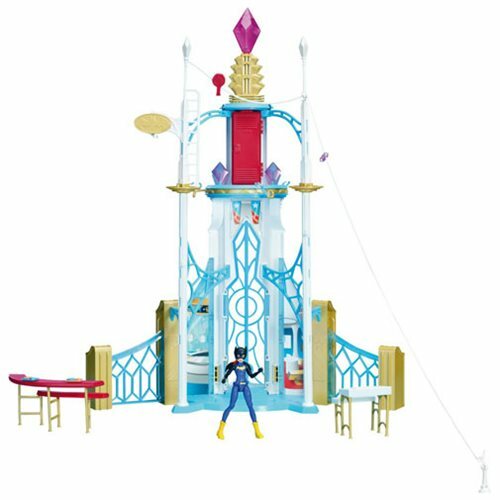 The playset includes a flying mechanism, grappling hook, and zip line. Themed accessories expand the play opportunities for the iconic school setting. Set includes one exclusive Bat Girl action doll and a themed playset with features and accessories. Action figure measures approximately 6-inches tall. Playset measures approximately 2 feet tall when completely assembled. Ages 6 and up.